When most people think of bulbs, they think of spring-flowering plants such as tulips and Narcissus, or maybe summer ones such as Allium or lilies. One often-forgotten season is fall, even though fall is prime time for one of the most carefree and surprising bulbs of all, Colchicum. Commonly known as autumn crocus or meadow saffron (although it is important to note that they are neither saffron nor a crocus and are poisonous if ingested), these lovely ephemerals are jewels in the fall garden. 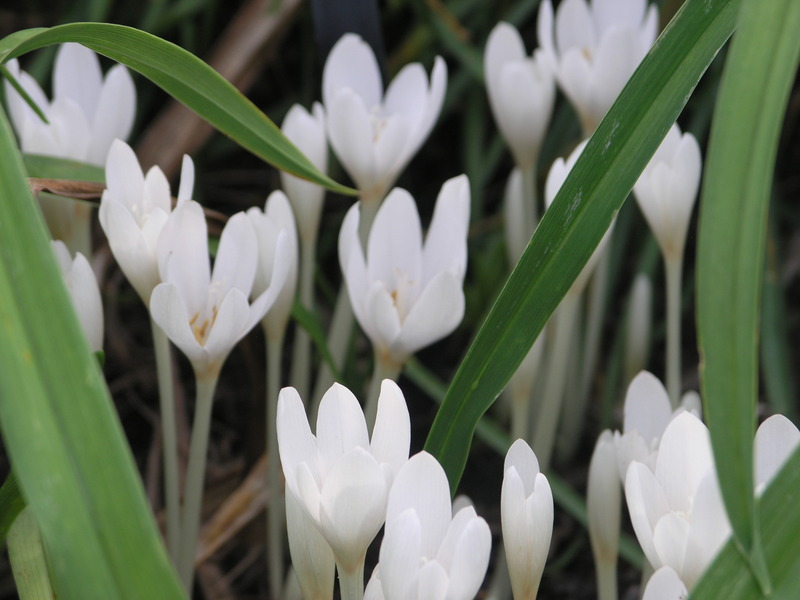 Get your own Colchicum bulbs (and more!) at the Fall Bulb Festival, October 4 – 6. Although they’re commonly referred to as a bulb, Colchicum are not a true bulb, but are corms, much like Gladiolus and Freesia. Colchicum have an unusual habit of growing their foliage in the spring (just like most plants), but then instead of flowering, they go dormant for several months. Then, seemingly out of nowhere, they send up dozens of purple, pink, white, or checkerboard flowers just as the rest of the garden is getting ready for fall. Colchicum prefer a location with full sun until midspring and grow best in a location with well-drained soil that does not stay wet during the summer dormant period. This makes them ideal for planting under trees, where other plants might not compete as well with the roots. The bulbs should always be planted two to three times deeper than the bulb is tall to help ensure a long life. To appreciate these intricate flowers, plant Colchicum in large groups near the front of a border. 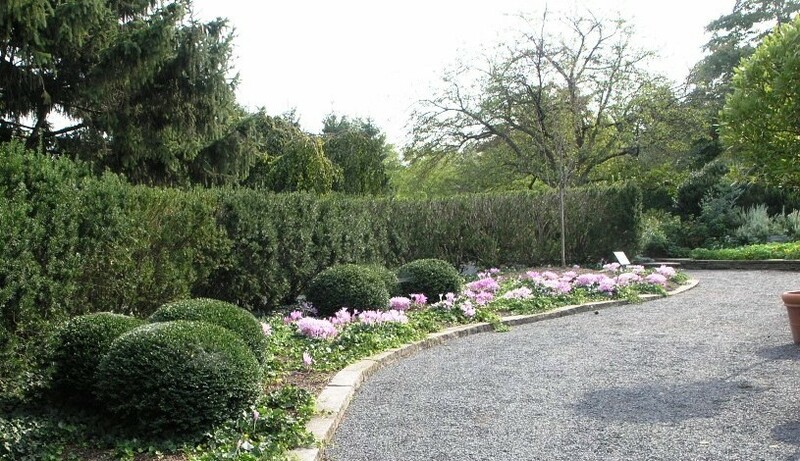 Because the foliage remains green until early summer, it is best to either plant them in an area with a groundcover, or to choose a low-growing annual to plant over them once the foliage has gone dormant for the season. This not only hides the bare ground, but also provides some support to help keep the flowers upright. 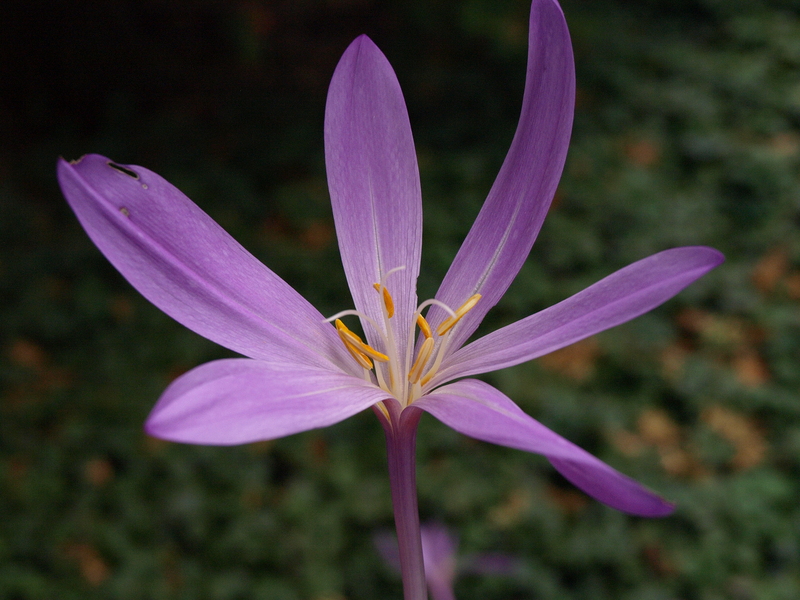 Look for Colchicum at the Chicago Botanic Garden beginning in mid-September and continuing through October. The Bulb and Home Landscape Gardens have the best displays of this fall beauty.